I have to be honest about sports. I’m there for the good times: World Series, Olympics and of course the Super Bowl and even then, for me it’s all about their food. Sure I’ll be there front and center on Sunday, cheering for the Broncos (sue me), breathlessly waiting for the next commercial while enjoying some decadent party food. Today I want to share with you my most favorite, best ever party dips. No one would consider any of these healthy food and for that I do not apologize. After all, we don’t do this every day. So let’s lighten up and get ready to party! Mix in half of the shredded cheese, and transfer the mixture to a slow cooker. Sprinkle the remaining cheese over the top. Cover and cook on Low until hot and bubbly. Lower setting to Warm. Serve with celery sticks, crackers, chips and or just dig in with a spoon. Preheat oven to 300F. Cut off the top of the head of garlic to expose the cloves, trimming about 1/4 inch off of the top of each clove. You may need to trim individual cloves along the sides of the head. Brush the cut cloves with a small amount of olive oil. Then, wrap them loosely in a piece of aluminum foil. Bake until the cloves are tender and nicely browned, about 1 hour. Remove garlic from the oven and allow to cool to room temperature. Once cool, squeeze the garlic cloves out of their skins into a mixing bowl. Mash well with a wire whisk. Add the sour cream, mayonnaise, green onion, vinegar, salt and pepper. Whisk until evenly blended. Refrigerate 2 to 4 hours to allow the flavors to blend. Serve with chips, crudités or pieces of toasted baguette. Melt 1 tablespoon of the butter in large heavy skillet over medium-high heat. Add the corn, salt, and black pepper. Cook, stirring occasionally for about 5 minutes. Transfer to a bowl. Melt the remaining tablespoon of butter in the skillet. Add the chopped white onions and bell peppers and cook, stirring often, for about 2 minutes. Add the green onions, jalapeno, and garlic. Cook, stirring, for 2 minutes, or until the vegetables are softened. Transfer to the bowl with the corn. Add mayonnaise, cayenne pepper, half of the Monterrey jack and half of the Cheddar and mix well. Pour into an 8-inch square baking dish, or equivalent and sprinkle the remaining cheese on top. Bake until bubbly and golden brown, 10 to 12 minutes. Serve hot with chips. Cream together cream cheese, sour cream, hot sauce, soy sauce, and lemon juice. 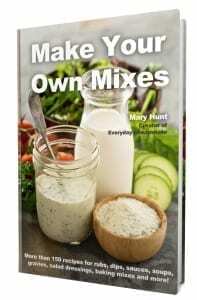 Spread this mixture into a 9×13-inch glass dish. Layer salsa, green onions, black olives, lettuce, cheddar cheese and tomatoes over the cream cheese mixture. Cover with plastic wrap and gently press the ingredients down to tighten the layers. Chill before serving. Serve with tortilla chips.